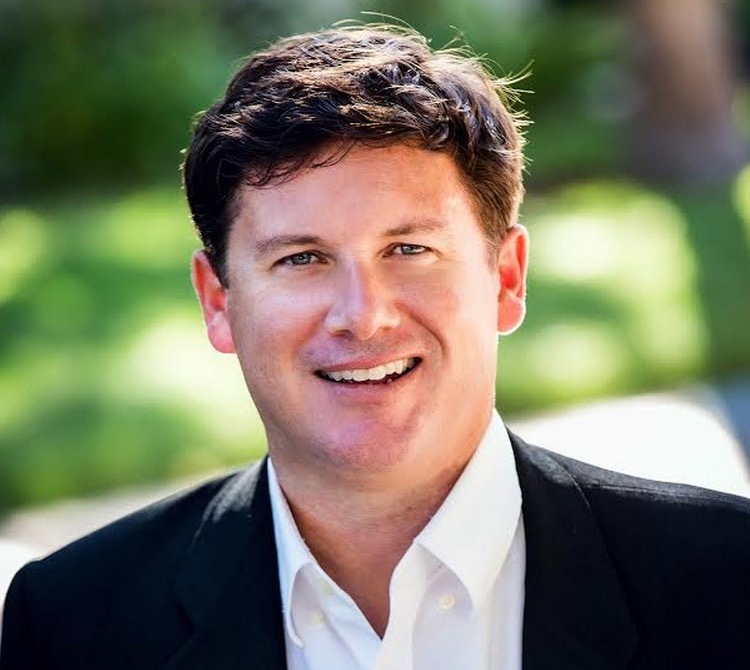 Interview with Softonic’s new CEO Scott Arpajian. Topics discussed include the company’s mobile first approach, what they’re trying to do to regain users’ trust and brining up morale company-wide after going through massive layoffs. Softonic, once one of the largest technology companies in Spain, went through a bit of trouble in 2014. Well, ‘a bit of trouble’ is a way to put it mildly. 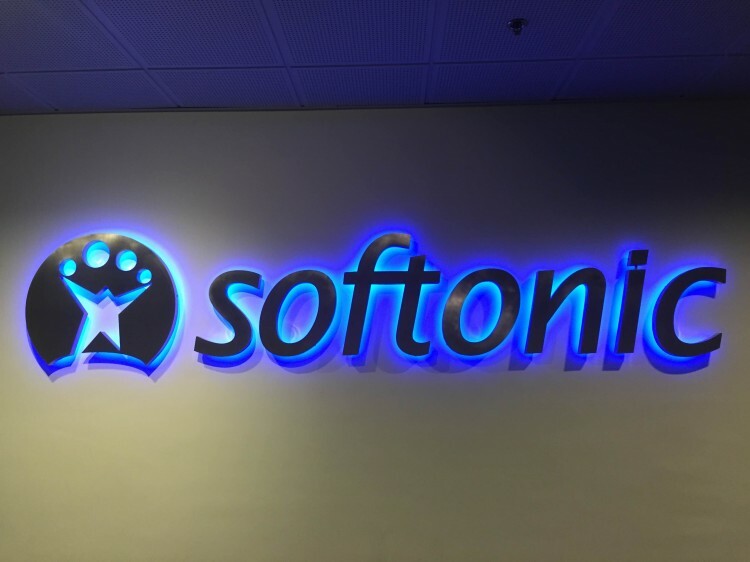 Less than a year after selling 30% of the business to Partners Group for €82 million and amidst the talk of a possible IPO, Softonic had to lay off 200 of its 450 employees due to “changing market conditions that had a considerable impact on the download desktop business”. In other words, the advertisers (Google) that were responsible for a significant portion of Softonic’s business withdrew their financial support, leaving the company with a desperate need to shift to mobile and regain the trust of users, which was partially lost during many years of bad practises with its Softonic downloader, toolbar and recommended offers. To reposition itself as a mobile company, Softonic acquired San Francisco-based Appcrawlr last year and hired Scott Arpajian, the founder of Download.com, as CEO. 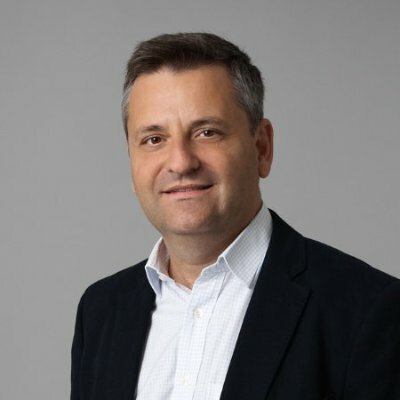 What follows is an in-depth interview with Arpajian about his new job, the challenges the company faces and what they’re doing to change Softonic’s focus and transform it into a mobile first entity. So you’ve been at Softonic for 7 months? I formally joined CEO in late February, but I was here a little bit ahead of that as a consultant, getting up to speed on the business. It’s long enough that I can’t use the ‘hey I’m not here’ excuse but short enough that I’m still learning. I have a special relationship with the business, as I founded donwload.com in 1996 in San Francisco. It was the early days of CNET and what we wanted to accomplish at the time, which I think it still holds true, is to democratise the way software is distributed online. And it does sound kind of funny talking about it in 2015, when software distribution is just normal, but back then when both download.com and a year or two later Softonic and many others portals entered the space, there was a real challenge and opportunity around how software was being distributed. I stayed at CNET for 10 years and I left in 2006 to go on some new ventures. I had an itch to return to the startup world because CNET had grown so much. Was Download.com born inside of CNET or was it an acquisition? It was born inside CNET, which had some real amazing and smart people that were literally figuring out how to build websites while at the same time covering the space. But we also had the most incredible collection of domain names: CNET.com, Shareware.com, News.com, Radio.com and many others. My second day on the job I found out that the company owned download.com, and on a white board in the CEO’s office I sketched out how we should use download.com and he allowed us to go build it. To get back the question of why I joined Softonic, I had the background of building a business like download.com and growing it for 10 years. I left it in pretty solid shape: big business, lots of users, etc. But I left to join the startup world and got quite into online gaming, so my startup was related to kids online virtual world games. I went to Disney after that, as part of the mobile and social gaming division. When I left Disney I was approached about this (Softonic) opportunity because I had the background, albeit in the desktop-software world. Having spent so much time in gaming and especially in mobile at Disney, I saw this enormous opportunity in Softonic: a large set of assets when you look at its size and scale and a company that despite going through quite a bit of struggle adapting to a wide variety of changes, still had a very cool group of very talented people. I hadn’t been closely following the download portal for a while, but I was surprised to learn that Softonic has global reach and is so large, with over 100 million unique users every month. The company does have a desperate need to head into mobile and really figure out a way to do it. Despite all of the challenges the company faces, we have an incredible supportive group of investors and board of directors that were very serious about doing the necessary work to evolve the company. So for me it was an amazing opportunity and the right timing. So now that I’m six months in, I’m getting a good understanding of what needs to be done and moving pretty aggressively to try to make it happen. If you look back to 2014, the company was going on a very solid revenue growth but with a business model that, let’s just be completely candid, wasn’t healthy. Ultimately it wasn’t really going to scale, and the recommended offers business that was tied to the Softonic downloader grew revenue but was under the microscope as far as the industry was concerned, in particularly Google. This also caused confusion for users, and when your business is to serve users and to help them find products that can help them solve problems or fill a need, you want to be focused on serving the users. I think with recommended offers and the way the Softonic downloader was being used, it was incompatible with the company’s real mission. And now you’ve got rid of that? That was one of the first things I did. I joined as CEO on February 24th and on the 28th we shut down Softonic Downloader, recommended offers. They’re gone for good. You can’t successfully grow and run a business when you’ve got activities that confuse or provide a less than great service to your users. And since one of our chore assets is our user base, you really have to think about that. How has the company changed over the past year? We’re undertaking a pretty dramatic shift in terms of our business model. We’re no longer as dependent on the previous business and search engines (Google sends us a lot of traffic) but the model has shifted and we’re under self-directed pressure to diversify our business. Not just the revenue, but also the way we acquire and retain users. How is Softonic making money these days? We’re still largely advertising-driven, we make our money through a variety of advertisements, primarily display and performance. But the big change is that we no longer participate in the bundle of software and previous things. Do you think you can still regain users’ trust? I think absolutely yes, but trust is an interesting thing which you have to gain or earn through your actions and through consistency, not by talking. So the answer is yes, but we also know that it will take time and it’ll only happen if we put our users’ needs first. Time will be our guide on whether we’re able to regain trust from people who lost it. That said, I do think there’s another thing to recognise. Softonic has had, for better or for worse, a lot of brand visibility in Spanish speaking countries, but as a brand it’s relatively known outside of those markets. We have a huge opportunity to grow our brand presence outside of these regions. English speaking users is our larger audience, but in key markets like the US we’re still underrepresented with less market share than download.com, but gaining quickly. It’s in those markets where we see the bigger opportunities. Although you were not here in the past, do you think the Softonic of old took users for granted? When you look not only at Softonic but also industry wide, there was a whole bunch of things going on, whether it was the toolbar move, the bundled offers, etc. Inherently there’s nothing wrong with those, but it’s the fact that it facilitated bad behaviour amongst third party vendors which ended up harming the user. And nobody was overseeing this activity. All download portals, including Softonic, failed at the opportunity of exercising more control over what was going on. I think, ultimately what happened is that Google finally stepped in last year. Did Softonic’s prior management do anything wrong? I don’t think so. Maybe from a purely business standpoint they were not able to diversify the business quickly enough. I do think Softonic didn’t apply enough focus on its users as it could have and that’s something that we clearly recognise now, first and foremost. Appcrawlr and your mobile focus. 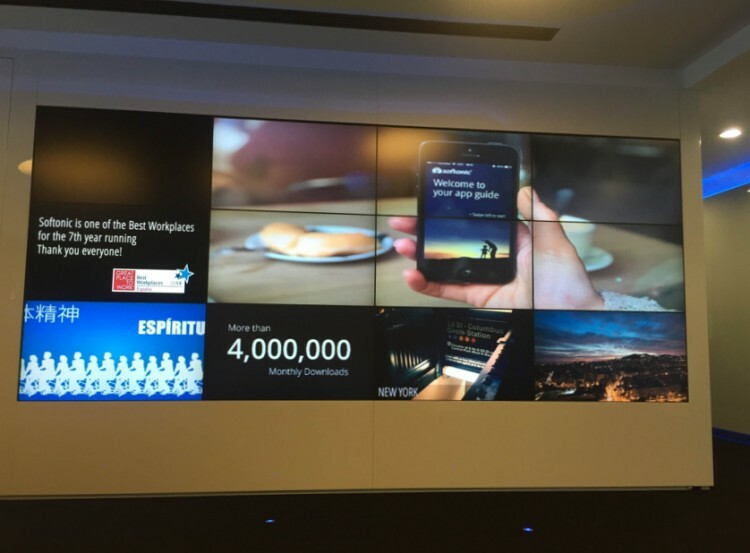 What’s Softonic doing right now to position itself as a mobile company? A bunch of things. Interestingly enough, all along we’ve had a pretty significant mobile presence. We have a pretty large directory of mobile apps, from feature phones to smartphones. About 20% to 30% of our traffic is actually coming from mobile and those are people that are looking at app catalogues. So in one way we’re already a mobile company with nearly a third of our traffic coming from these devices. What we’re seeing is that the only way to be successful in mobile is to be in apps. A recent report from Yahoo said that 90% of mobile minutes in the US are spent in apps, so only 10% belongs to a web browser. I think any effective strategy for mobile right now has to be focused on what’s going to be needed in an app experience. On that front we’ve done things in the past. Years ago there was a Softonic app for Android and iOS but I think the challenge was that it was trying to replicate the web experience in an app, which doesn’t actually fulfil a user need. Are those apps still available? No, they were taken down a while ago. We’re clearly focused on things that create real user value. Are you going to bring them back in some form? What we’ve done instead is that we’ve launched a series of products called Softonic tools. What we’re doing here is we’re positioning Softonic as a trusted guide and a company that wants to deliver value to users in the space, and one of the best ways for us to participate in that is to actually deliver an app that users want. It’s still in the early stages but they are a series of tools that are focused on optimising or improving your experience on the phone. The very first app is called Softonic turbo booster and it’s an Android only app that optimises your phone. It competes directly with Cleanmaster and a few others in the space, but I think that with the audience and reach that we have, we can get a head start in distribution by promoting it to our audience. Although the app won’t turn your old phone into a new Samsung Galaxy, it does provide user value and, once you do that, you get into a position where you can make recommendations of other apps that you might be interested in and they can be highly targeted based on the apps that you’re using. And yes, app recommendation is a space that both Google and Apple are paying close attention to, but we think there’s a big business opportunity. With Softonic tools and turbo booster, are you trying to build an app constellation following the model of others like Dropbox, Foursquare or Facebook? Rather than building one giant app that tends to do it all, we’re really focused on clarity of the value that we provide. We’re still working the specifics of the strategy. This is the first app we’ve launched and we’re experimenting in Spanish speaking markets a second app called Trybe which does person-to-person app recommendations. We believe most app recommendations are made through word of mouth, in the physical world, but we think with Trybe we can translate that into the online and digital world. App discovery is still a very large problem that nobody has really solved to date. Has someone else done it successfully? I haven’t seen anybody do it just like that. Certainly there have been plenty of app recommendations applications in the past, like Appgratis, which ended up running into business model problems. The challenge with Appgratis and Apple is that it was more of a broadcast model instead of a targeted sharing model. They were openly marketing their services to developers as a means of gaining and advantage in the rankings, and Apple and Google had to protect the integrity of their charts. Apple at the time took a very hard stand but they’re starting to open that up. What’s Appcrawlr’s role within this strategy? Appcrawlr is really technology that at the most abstract level examines large amounts of information, mostly unstructured data, and puts structure around it. In fact, what’s exciting about it is that it’s a platform and technology that could be applied to a wide variety of things. Essentially what Appcrawlr does is look for commonalities in data. So on the website what it looks at is user opinions, which are very unstructured, and what is neat about is that it looks for common patterns and extracts semantic meaning from recommendations. So if lots of people are expressing a common sentiment but in different words, it puts them together and it can provide scoring and look for trends in the way that people are describing apps. Appcrawlr gives us a great way to show commonalities in apps and to highlight and draw out patterns and help you, as an end user or developer, connect and get more apps into the hands of more people. I recently landed on Softonic.com and was surprised to see that the homepage looks a lot like a media publication and less like an app or software catalogue. Are you becoming more of a media company? No, we’re still a tech company. But the media content and components that we have do help users make decisions and add context. From a management point of view, what is it like coming into a company that’s been through some very times? How do you bring morale up? The answer is that it takes a little bit of time but we’re very well underway. When I arrived the company had just laid off a significant part of its staff, but I’ve been through this before. Anyone who has been in tech for a while has been through the process of layoffs. You take a little time to recover but ultimately it’s all about focus and having a clear path to reconnecting with the purpose, which is to ultimately help users discover apps and downloads. The people who joined Softonic did it because they want to help people and see ourselves as trusted guides. We know a lot about this industry and we think we can help others. Most of the work coming in has been to come back to our main purpose: why are we all here and how are we going to go about getting it done.